20 of the Wackiest Driving Laws in the U.S.
> Auto Accident > Driving Safety > 20 of the Wackiest Driving Laws in the U.S.
All licensed drivers know that it’s the law to stop at red lights, not drive while drunk and obey the posted speed limits. Some driving laws that are still on the books, however, are less obvious – and, at times, less logical. Here’s a look at some of these wacky driving laws that are still enforceable in various states in the U.S. In Alabama, it’s illegal to drive while blindfolded. In Alaska, it’s illegal to drive with a dog tethered to roof of a car. In Arizona, it’s illegal to drive in reverse. In Arkansas, it’s illegal to honk a horn after 9pm outside of an establishment that serves sandwiches and cold drinks. In California, it’s illegal to leap out of a vehicle traveling at 65 mph or faster. In Colorado, it’s illegal to drive a black vehicle on a Sunday. In Delaware and New York, it’s illegal to take clothing off in vehicles. In Georgia, it’s illegal to ticket a member of the assembly for speeding if the assembly is in session. Also, it’s illegal to spit from cars and buses (but not from trucks). In Idaho, it’s illegal to ride motorcycles if you are older than 88 years old. In Kansas, noisy tires can land you in jail for up to 30 days. In Massachusetts, it’s illegal to drive with a gorilla in the backseat of a vehicle. In Missouri, it’s illegal to honk the horn of someone else’s car. In Montana, it’s illegal to leave unattended sheep in trucks. In Nevada, it’s illegal to ride a camel on a highway. In Ohio, it’s illegal to drive around the town square more than 100 times in a row. In Oklahoma, it’s illegal to read comic books while driving. In South Carolina, it’s illegal to store garbage in vehicles. In Texas, it’s illegal to drive if any alcohol is within arm’s reach of the driver, including if that alcohol is in another person’s blood stream. In Utah, it’s illegal to throw things that are on fire from moving vehicles. In Virginia, drunk passengers who are riding with drunk drivers can also be issued DUIs. 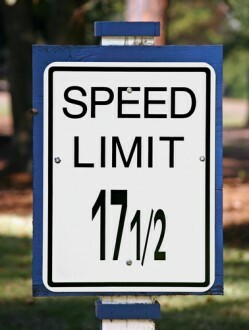 Tell us what you think about these strange driving laws on Facebook & Google+. If you have been hurt in a traffic crash, contact a Littleton car accident lawyer at Bahr, Kreidle & Flicker to find out more about your options for financial recovery. Since 1983, the Littleton personal injury attorneys at Bahr, Kreidle & Flicker have been fighting on behalf of injured people and aggressively standing up against injustice, inequality and intolerance.